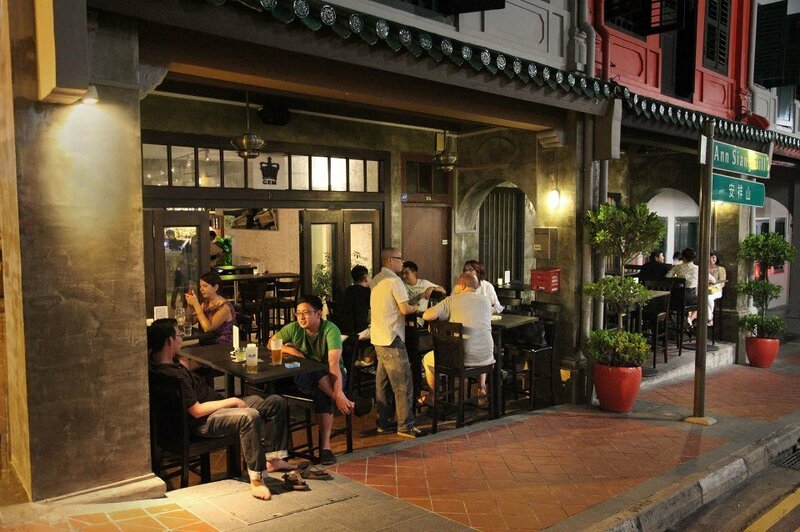 Club Street and Ann Siang Hill are two of the places in Chinatown you can guarantee a crowd any night of the week. It’s saturated with restaurants and bars, spanning any and every preference you could possibly have. Many love the area for its quaint shophouses and the vibrancy that comes with the neighbourhood once the sun sets. Many bars along the streets run happy hour promotions, be it discounted prices or one-for-one purchases. If you find yourself around Chinatown, or are heading towards the area, here are some of the best bars to drink at around Ann Siang and Club Street. The best part is, if none of the joints there fit your fancy (which is pretty impossible), Telok Ayer is within walking distance to quench your thirst. 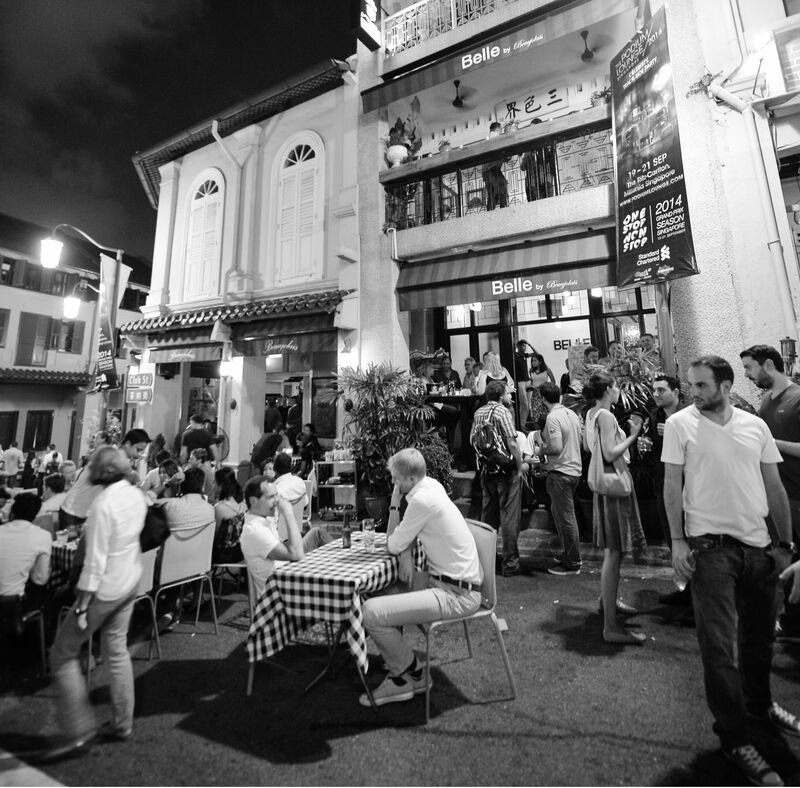 The reworked multi-concept venue, 12 Ann Siang, houses two bars. One of them is the new rooftop bar, an alfresco accompaniment to arthouse cinema, The Screening Room. You don’t have to be a patron of the cinema to visit the bar, which boasts laid-back vibes, a decent view, and a pretty extensive drinks menu. Whether you’re in the area for after-work drinks, looking to have a meeting, or going on a date, this is a bar to visit. 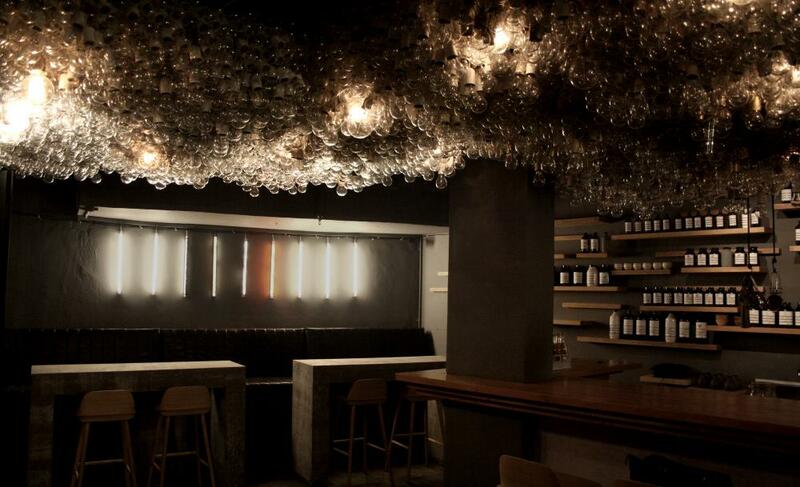 Newly opened Catchfly is one of the most comfortable basement bars we’ve ever been in. It’s got the kind of couches you sink into, and never want to get out of — which makes for a perfect chill-out spot after work. Head bartender Liam Baer incorporates culinary techniques into his cocktails, so expect drinks that toe the line between sweet and savoury. 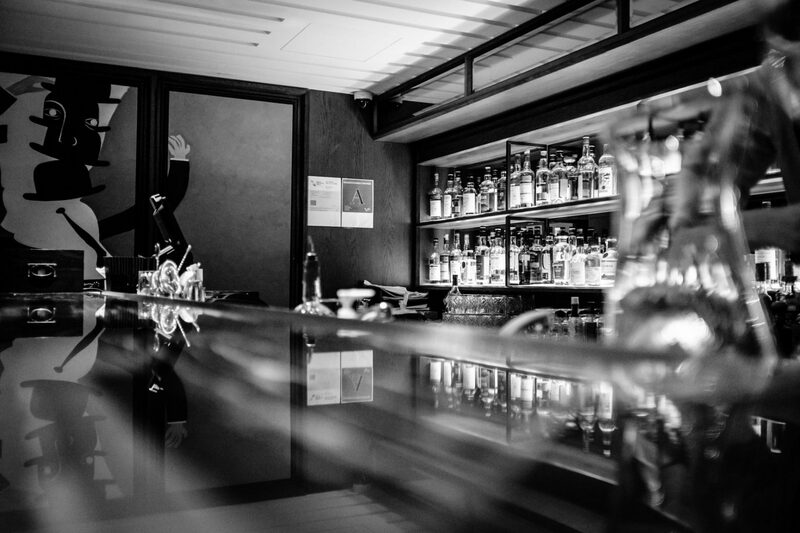 The bar also has an extensive selection of boutique spirits, in particular American bourbons. Nutmeg & Clove is about as Singaporean as a cocktail bar can get, and in a good way. The entire menu is focused on eras throughout local history, from our nascent years as a trading port, to the Japanese Occupation. Its decor is also pretty nostalgic, with old school photographs, posters, and a Chinese medicine hall cabinet as a bar counter. 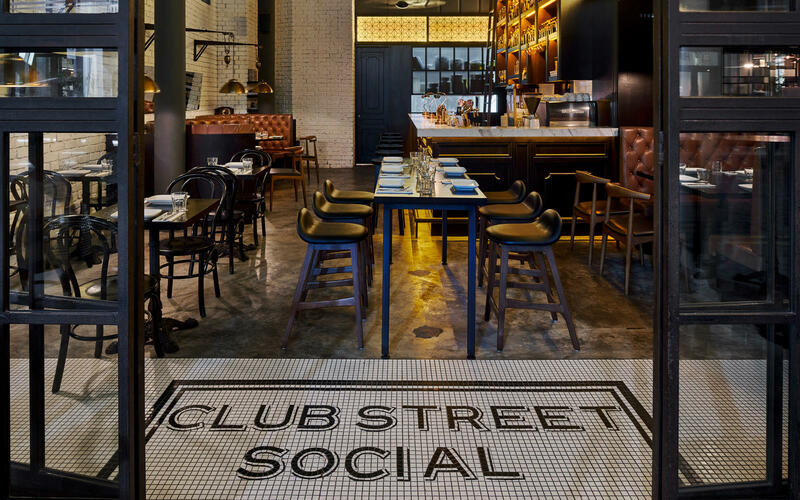 This Manhattan-style bistro bar is a great place to bag dinner and drinks. It’s got British recipes with a modern twist on the menu, and a lengthy list of beers, spirits and cocktails to choose from. Come on a weekend, and there’s even brunch to enjoy. Champagne optional, but very much advised. 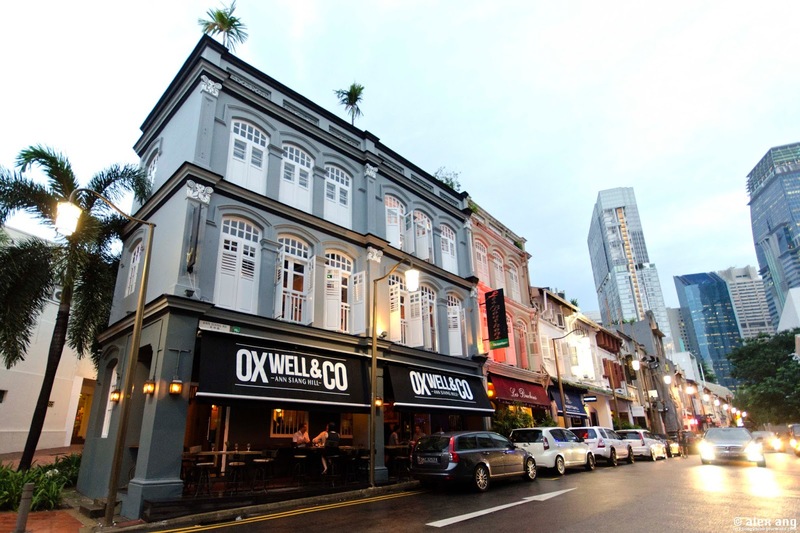 Oxwell & Co. has become an icon for Ann Siang Hill, being the first building you see when you enter. The 4,000 square feet building comprises multiple concepts, including a cocktail bar, a dining room, a private space and a rooftop bar. Set up by a bunch of Brits, expect quality British food and pub grub, as well as an extensive selection of gin-based drinks to enjoy. Oxwell & Co., 5 Ann Siang Road, Singapore 069688, tel: +65 6438 3984. Underground bar B28 is the place to visit if you love your whisky. With over 200 single-malt expressions on the menu, and a simple selection of whisky cocktails, you’ll never run out of options if you’re a fan of the spirit. During the weekends, B28 also hosts local and international live jazz acts to keep you entertained. 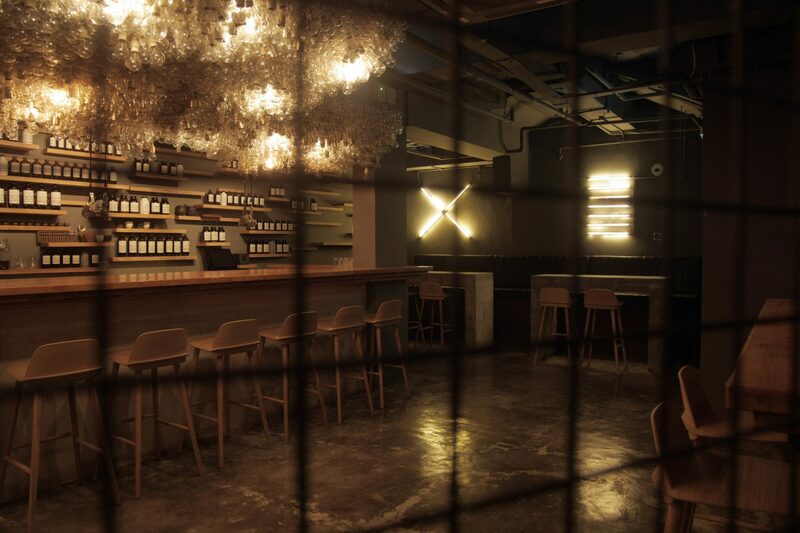 Operation Dagger has cemented a spot as one of Singapore’s most innovative bars, and it’s done us proud by consistently winning spots on both the Asia’s and World’s Best Bars lists. Helmed by Luke Whearty, the place believes in crafting everything by hand where possible. Expect fermented wines, beers and cocktails done that come with a mad scientist touch. One of its cocktails, G.O.A.T, even features goat’s cheese distilled gin. Operation Dagger recently launched a bar bites repertoire, with cheeky nibbles like French Fries — dehydrated and deep fried french beans with garlic salt — as well as an omakase menu. It’s not often you hear about Peruvian restaurant-bars, and Tiger’s Milk is probably the only one in Singapore. 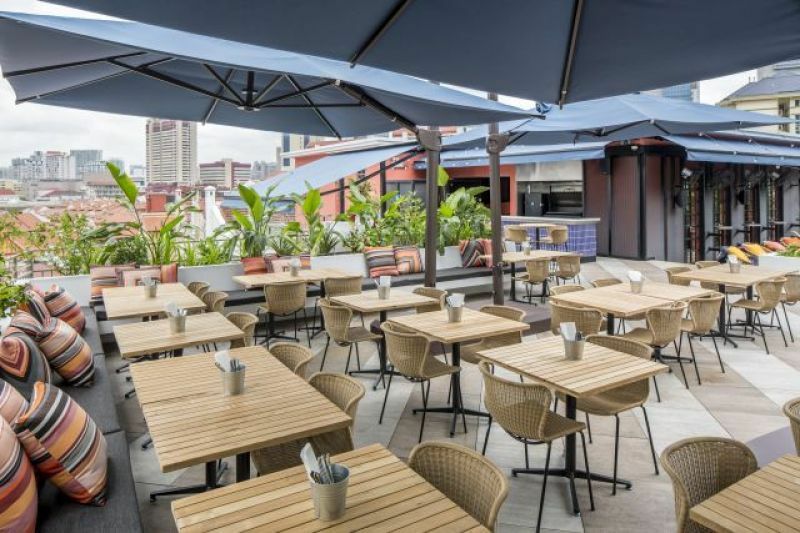 Head to the rooftop destination if you’re hankering for a culinary adventure. 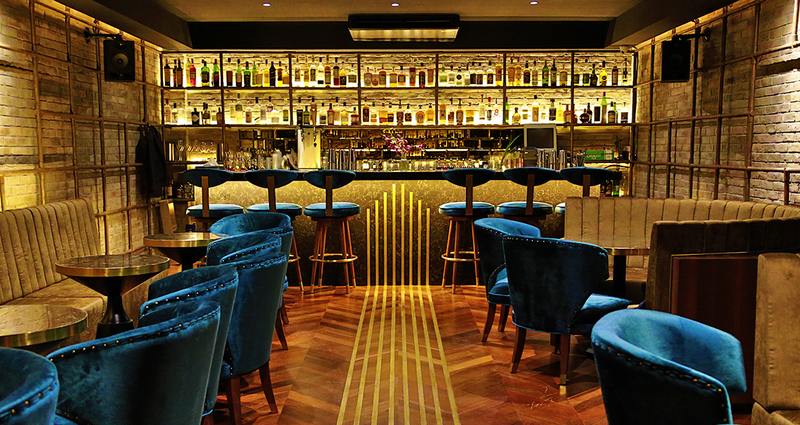 Aside from Peruvian cuisine, the bar has a lengthy selection of Pisco-based cocktails, as well as some mezcals, tequilas and cachaças to enjoy. If you want good wine, and A-grade steak without completely breaking the bank, then head over to Beaujolais. The place marries Italian and French flavours with an exhaustive wine selection, especially if you enjoy bottles from Old World vineyards. Gem Bar is a fixture in Club Street, and anyone looking for an easy place to have standard bar fare such as pints or a whisky on the rocks, ought to head there. The bar is almost always crowded, so swing by early to secure a table. 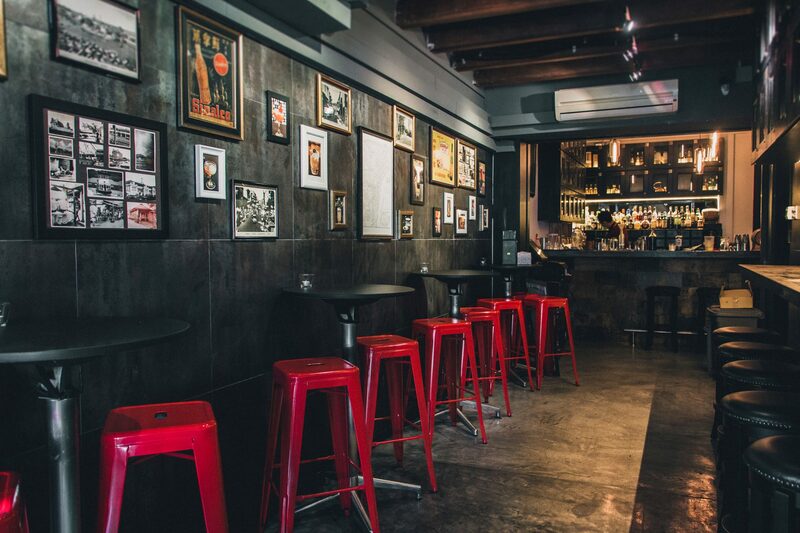 Stay late enough, and the bar might just host a live DJ to really start the party. Even if cocktails are more to your liking, you can have your fill at Nutmeg & Clove upstairs, before returning to Gem Bar to continue the night.